Sewn in pull loop to use for tightening the strap. The open s-hooks are vinyl coated. 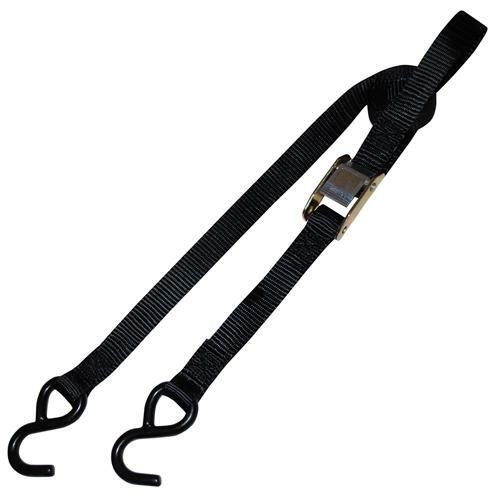 These tie down straps are used like a belt on your pants; attach each end to a point and pull the webbing through the cambuckle to tighten. These straps can be used in a number of different applications. You can choose the length of both ends of this strap as well as cambuckle type and color.